This is the required hidden gems questions for iOS 6. Must be an under-documented feature. No "flag pole" features like VIP's in Mail. Alarms can now make use of songs not just built in tones. Edit your alarm and select sound and then pick a song. Tap and hold the "New Message" button inside Mail to open the Drafts folder. Receiving iMessages sent to your phone number on multiple devices. I know this has been raved about but it is tricky to configure and took me a while to figure out. Open Messages in Settings on other iOS devices and disable and then re-enable. This will add your phone number to the list. You need to then select it (a tick mark appears next to it). You will now receive messages on this device. There is also a section to choose to send from an address or number lower on the screen. On OS X devices (10.8.2), open Messages and choose Preferences (from Messages menu) and then choose Accounts. You will now see your number and can select to receive messages on that device. When you do this, you will get notifications on the other devices confirming that is enabled. Metallic sliders across the OS now have a subtle reflection effect that is created with the accelerometer. You can use the Do Not Disturb setting while your iOS device is locked to silence calls, alerts, and notifications. The setting is located at Settings > Notifications > Do Not Disturb. Also very handy as it will silence a call but if the same person rings back within three minutes it wont silence it. Searching for an app in Spotlight reveals which folder the app is located in. Uploading images on Safari makes it easier to share images on websites that don't have apps. The Settings icon no longer has RAZOR BLADE EDGES! Newly downloaded apps have a "new" label on the home screen. 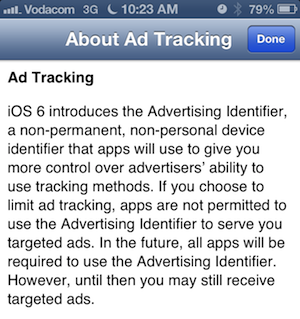 Settings > General > About > Advertising allows you to turn off ad tracking. Details in the photo below. Now, iCloud syncs your weird words across all of your devices without giving suggestions. 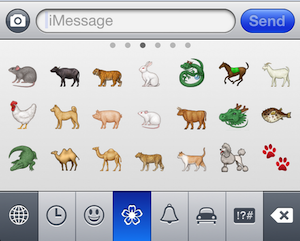 New emojis in the emojis keyboard! Data Detectors finally separate a phone extension [416.555.5555 x101] and provide a button prompt to "DIAL [EXTENSION]" after the initial number is dialed. Previously it would simply 'dial' all of the numbers lumped together . Which replace previous and next track buttons in iOS 5 and prior. Regular songs still have next & previous track buttons. It used to be too easy to accidentally push next or previous track while trying to pause a long podcast, causing you to completely lose your place. This change both solves that problem and offers a very handy quick-rewind option. Tap in the body of an email you're writing and you'll get the standard "Select | Select All | Paste" options, but tap the right arrow and you get a new one: Insert Photo or Video. Maps.app on iPhone now supports landscape orientation. Mail now has pull to refresh (like Twitter, Facebook, etc.). This is also now a standard control that third party developers can use. So far I've only seen this new "native" pull to refresh in Lumatics City Maps but I'm sure it'll be everywhere soon enough. You can now set a signature per mail account. Before it was a signature for all accounts set on iOS. Set signatures in Settings > Mail, Contacts and Calendar > Signature. Hold down the back/forward button to see a list of pages you can select to go back to. iPad App Store screenshots can now be clicked and seen in full screen "slideshow" mode. 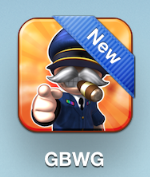 They're definitely not Retina resolution, but still a much better indication what the app looks like on the screen. App Store experience redesign. Most notably, when you install or update an application the App Store App no longer closes but instead show the download/installation progress inside the store (below the icon). Email accounts in the mail app can now be sorted in the Mailbox view. Acknowledging (swiping) a Missed Call through its Notification in a Locked Screen will now remove it from the Notifications. Don't like the default left to right panning direction in Camera.app's new Panorama function? Just tap the arrow and it will change from right to left! When the app quits, the direction defaults back to left to right. Just happened to hit the arrow yesterday by accident and saw the change. A nice feature, but for the life of me I can't figure out why it is there, other than to help the dyslexic among us (and I am one of them, so no flames, please)! A web inspector for mobile Safari. Goto Settings > Safari > Advanced and turn on web inspector, then open Safari on your Mac and you can use the web inspector on the Mac to inspect the web page opened on mobile Safari. Auto-correct now considers your keyboard shortcuts when giving you suggestions and correcting your typing. In iOS 5, if you had a keyboard shortcut defined, you had to type it in exactly in order to get the substitution. iOS 6 now guesses that you meant to enter one of your shortcuts, and offers the substitution straight up even if you were going to misspell the shortcut. Some email providers support archiving emails (most well known: Gmail). Now you have the option to archive or delete a message. Tap-hold the delete button to access the menu options "Delete Message" and "Archieve Message". Update: According to @Phong this does not work with Gmail. In the new maps app, use two fingers to rotate the map. Now you can orient the map exactly in a way that makes sense. It even remembers the rotation if you rotate your device. And even better, if you activate the compass, and then move away from your position, it remembers the rotation (previously when you moved away, it rotated back to north being up, which was very annoying). You don't have to enter your password any longer when updating an app you've already bought and installed. After market car stereos with iOS 4/iPod Out support? 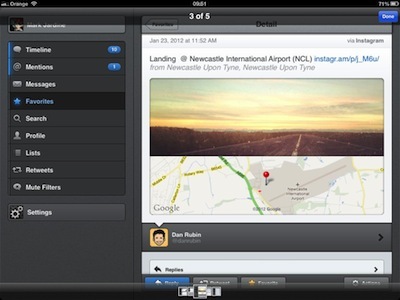 Which iOS and Lion third-party apps support “Documents in the Cloud”? How does iOS 5 decide what mailbox to watch for new mail? How to get iMessages to sync across an iPhone, iPad and Mac automatically?